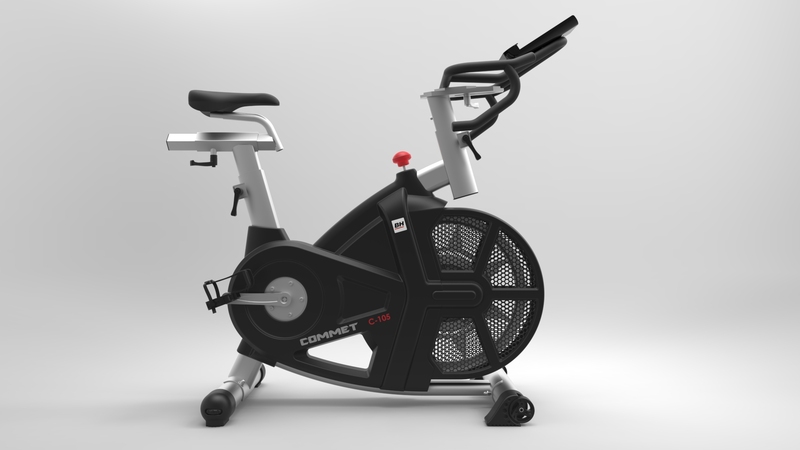 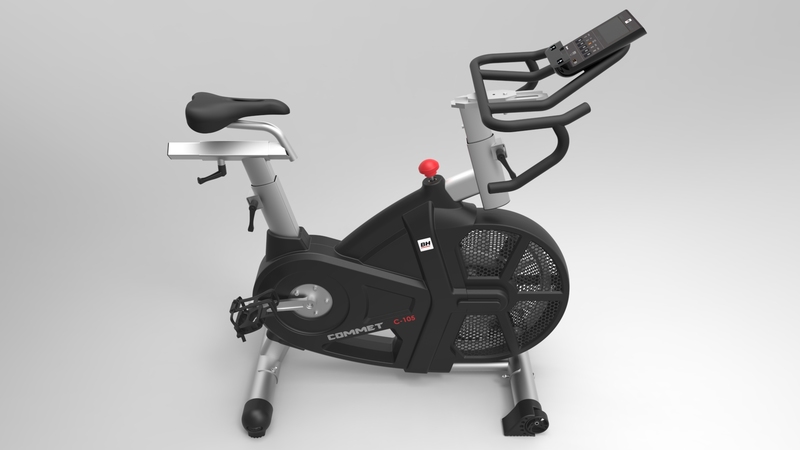 This spin-bike is the latest collaboration between ITEMdesignworks and BH FITNESS. 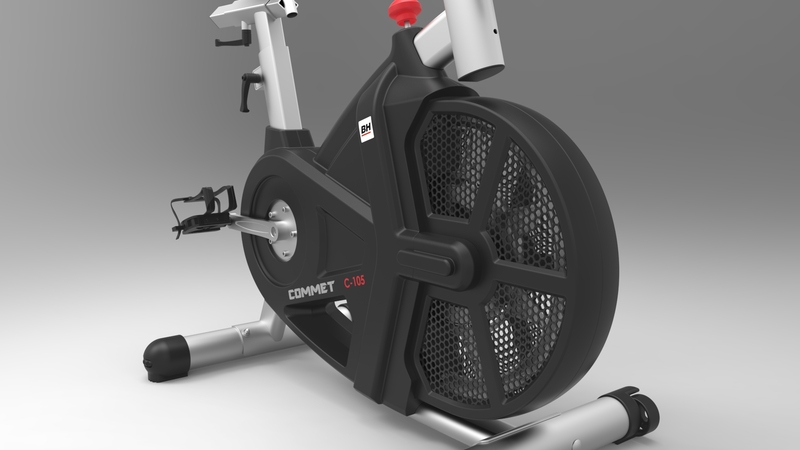 This indoor bike offers a “hybrid-brake system”, based on a combination of two technologies: On one hand, the traditional “felt direct-contact” smooth resistance and on the other, an air-fan extra-resistance to provide a much better pedalling sensation. 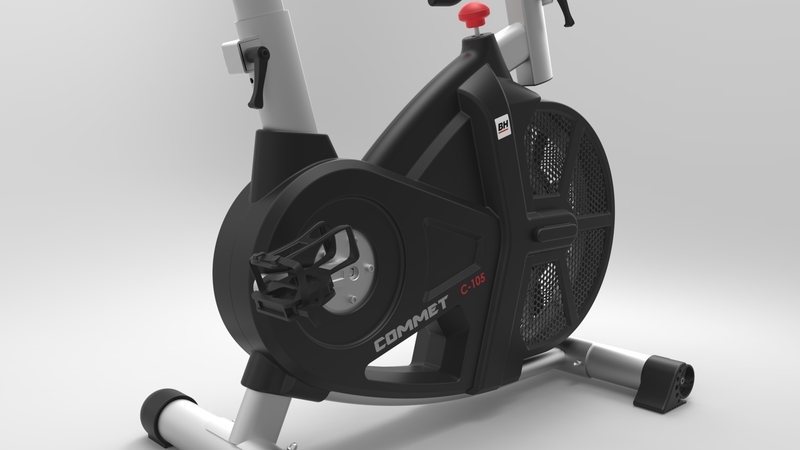 Besides, the fan creates an air ventilation flow that removes the surrounding air and gives a sensation of fresh breeze.